There has been a rapid development in the field of mechanic engineering with tool machine as the main products. In order to promote the business, we must continue to rigorously develop, consolidate the foundation, and advance our expertise. 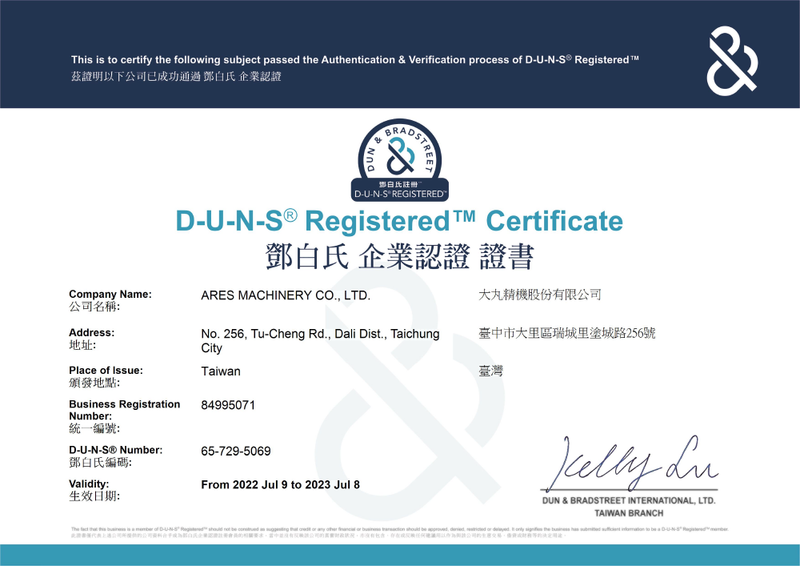 Hence, Ares has been focused in the field of manufacture and service of tool machines to create strategies favorable to both customers and Ares. Based in Taiwan, Ares aims to develop worldwide. Because of our international competitors, we must create a global market. We believe that a global perspective will enable us to connect with the world. Ares consistently advances our ability to compete, reminds ourselves to create superior competitiveness and accomplish the goal of global business management. Ares has participated in a marathon which requires endurance, time and high fighting strength to accomplish the goal. Therefore, we must continue to advance the quality, strive for perfection and not to be misled by a shortsighted attitude. In so doing, we will achieve the objective of sustainable management. Ares do not easily make commitment to the customers because we live up our commitment. Customers are our best partners. We have become stronger because of their support and demand which continuously motivates us to improve, increase the performance of the products, perfect the machine tools, and create abundant benefits for the customers with the best service quality and reassurance.